Major League Darts will have multiple regions in North America to help facilitate local events, regional competitions, and information exchange. Main region lines do not cross state nor provincial boundaries. 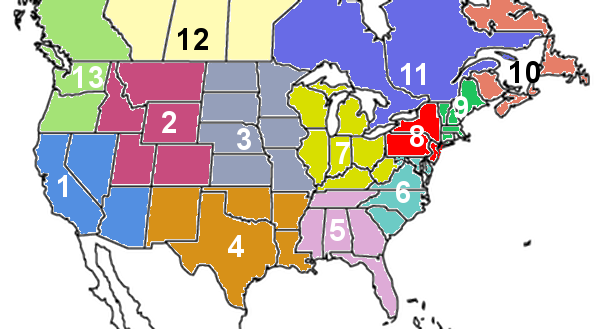 A player's region ALSO includes any state/province that borders the state/province in which the player lives in. --ensure that "locals" are not on a MLD Tour Stop date and don't conflict with another MLD local within say 250miles/400km/4 hour drive. --act as main coordinator/liaison with MLD "corporate" for Tour Stops in that region.